It’s no secret that the Porsche Cayman’s mid-engine platform has the potential to be better than the 911’s rear-engine setup, but Porsche will never, ever allow the smaller (and less expensive) Cayman surpass its iconic model. However, according to a report from Auto Express, Porsche is, once again, considering an even more extreme Cayman, beyond the GT4. Yes, this would be a Cayman GT4 RS. 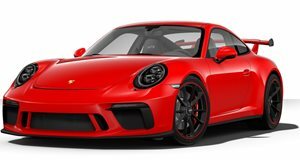 A Porsche insider has indicated that the German automaker is even considering a 4.0-liter flat-six engine over the Cayman GT4’s 3.8 flat-six. In doing so, this would up the coupe’s output above that of the 911 R, meaning more than 500 hp. 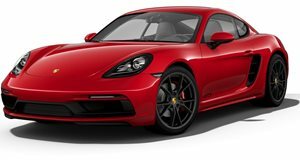 Porsche believes the task is possible by making various "improvements in low end torque delivery...as well as internal revisions within the flat-six engine." A six-speed manual, already in the GT4, would also be likely. In the meantime, we can confirm that Porsche will unveil the facelifted 911 GT3 at Geneva in March and, like the 911 R, will now be offered with a six-speed manual to satisfy many die-hard purists who miss rowing their own gears. The PDK dual-clutch gearbox will likely remain as an option. If Porsche goes ahead with the Cayman GT4 RS, expect for engineers to test the hell out of it before it's production ready in order to avoid a repeat of the 911 GT3 engine debacle. It's not good when a car of this caliber comes with an engine that catches on fire.